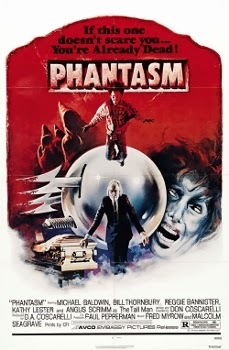 Phantasm was released into theaters on March 28th, 1979. Filming locations include Agoura Hills, Alhambra, Altadena, Huntington Beach, Julian, Los Angeles, Oakland and Woodland Hills, Ca. The film was written and directed by Don Coscarelli who would go on to write and direct the first three sequels in the series as well. Angus Scrimm played the iconic Tall Man, as he did in all four sequels that would follow. Sadly, he passed away on January 9th, 2016 at the age of 89. 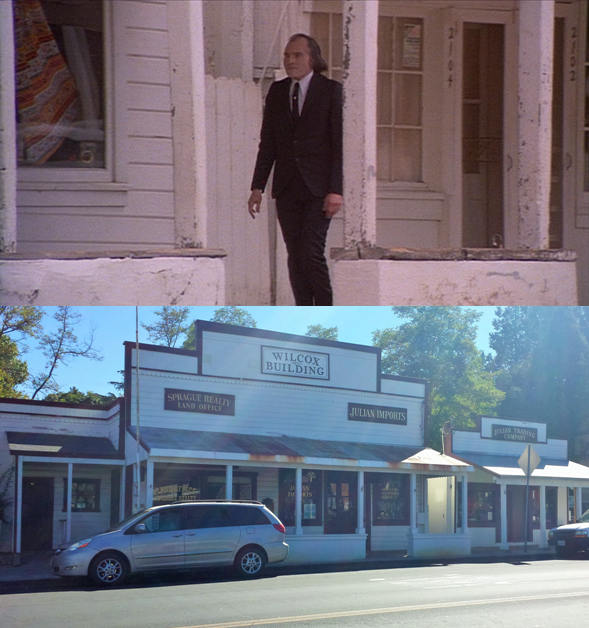 Some movies have iconic vehicles, and Phantasm is one of them. Brothers Jody (Bill Thornbury) and Mike (A. Michael Baldwin) are seen throughout the film cruising around in Jody's 1971 Plymouth Barracuda 340. Racing Champions ERTL even released a die cast metal 1:18 scale collectible of the car in 2003. The score to the film was composed by Fred Myrow and Malcolm Seagrave. The films first DVD release came in 1999. The house was designed by architect J. Eugene Freeman and built in 1899 by Robert Dunsmuir. It has 37 total rooms. Dunsmuir intended the house to be a wedding gift for his new bride but didn't get to live in it with her as he fell ill and died while on their honeymoon. His bride returned to live in the home but soon died herself in 1901. I.W. Hellman Jr. purchased the estate in 1906 as a summer home for his family. He died in 1920 but the estate remained in the family well into the 1950's. 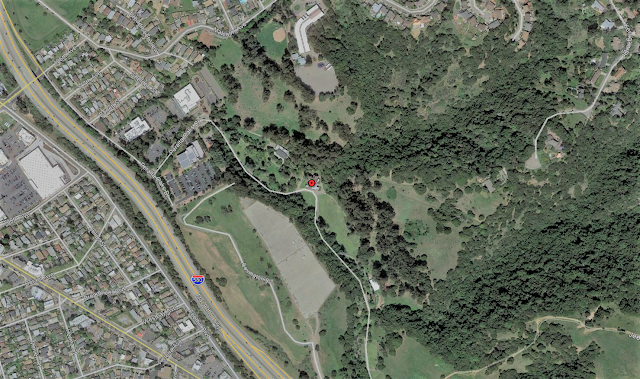 In the early 1960's the estate was purchased by the City of Oakland with the intention of using it as a conference center. When this project didn't work out, a non-profit organization was formed in 1971 to preserve and restore the estate for public benefit and for many years the non-profit group and the city jointly operated the estate. In June 1989, the non-profit organization took over most of the administrative duties and dubbed the grounds the Dunsmuir House and Gardens with it's primary function to be as an educational, historical, cultural and horticultural resource. The Dunsmuir Mansion has been designated a National Historic Site by the United States Department of the Interior and both the mansion and the Carriage House have been designated Historic Landmarks by the City of Oakland. The house was built sometime between 1952 and 1959. In late 2015 the house was demolished and all that remains is an empty lot where it once stood. All "Now" pictures taken in 2012. The house was built sometime between 1952 and 1964. In 2014 the house was demolished and a new one was built in it's place. 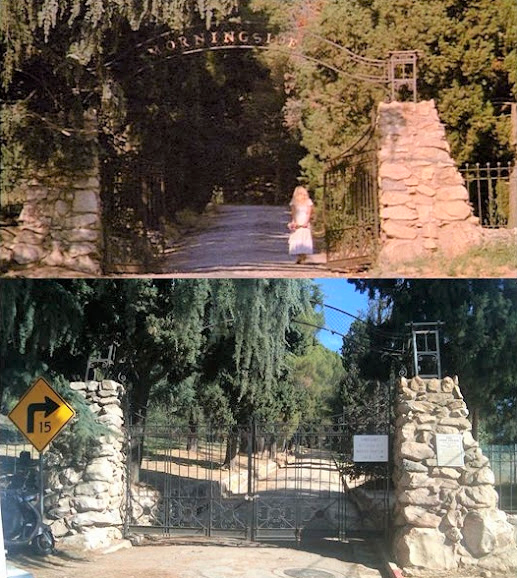 The gate was once the entrance to the Cobb Estate. Built in 1918 by Charles Cobb. He lived on the property until his death in 1939. 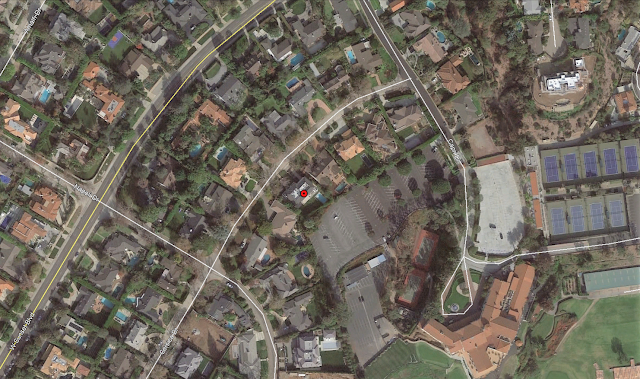 The 107-acre estate was then deeded to the Pasadena Masons. Eventually the property was purchased from the Masons and converted into a retreat for the Sister's of St. Joseph. In 1956 the estate was purchased by the Marx Brothers. 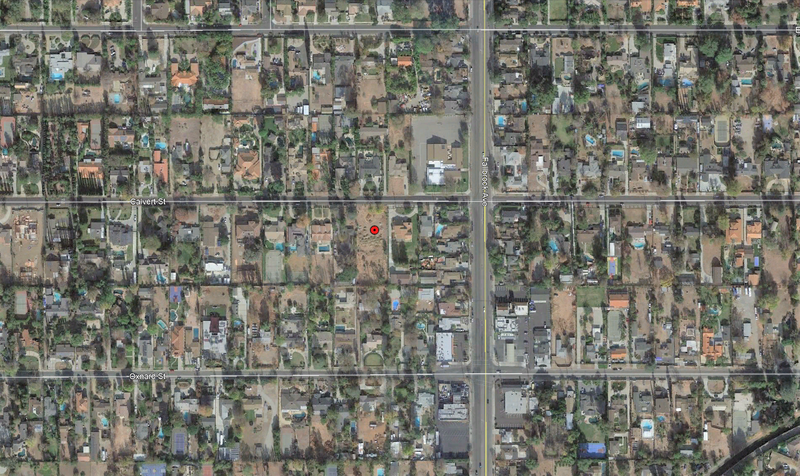 In 1959 the brothers had the dilapidated home torn down and the land sat unused until 1971. In time, a private donation allowed the city to purchase the land, which is now a popular hiking destination named the Sam Merrill Trail. 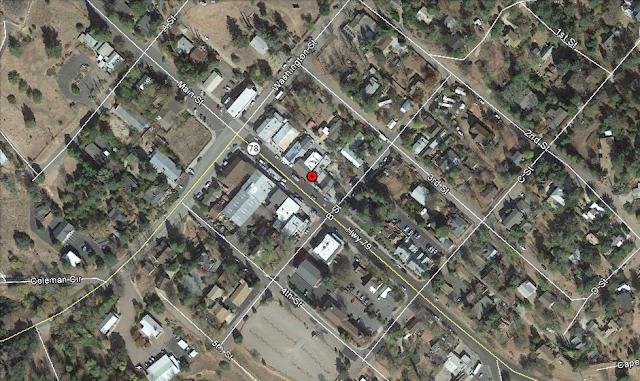 Thanks to a 2009 blog entry of a former staff member from the 70's this elusive location was finally discovered. He wrote of a plastic horse tied to the roof and the partial filming of a movie called Phantasmagora. It's been a sushi restaurant since 1983 and today it's called Daimon Yojimbo Japanese Restaurant. 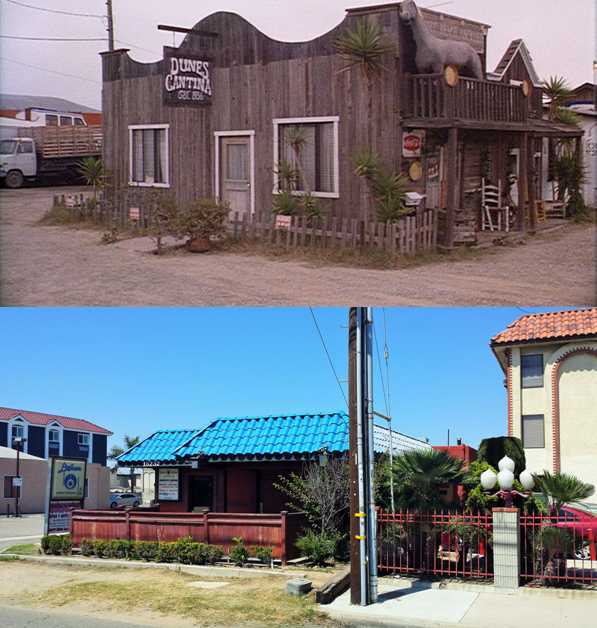 The building was erected in 1958 by Joe and Emma Edwards and started out as a restaurant called The Ranchero. 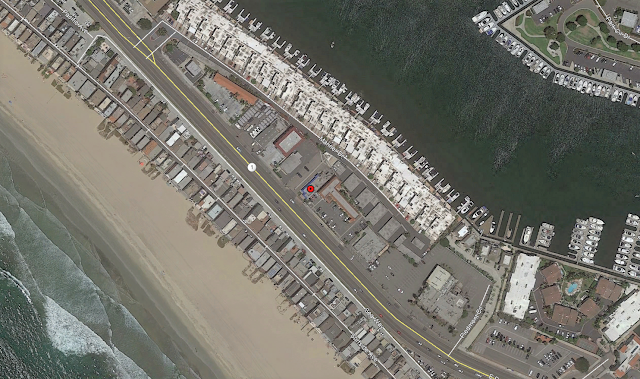 In the early 70's Ron Stock purchased the building and turned it into a steakhouse called His Boarding House. In 1982 Kjell Kristiansen bought the building and turned it into the Julian Cafe where it would go on to receive an award from the San Diego Union Tribune for the best tasting apple pie in San Diego County. Today the Julian Cafe and Bakery is owned by Christy Connell and Cara Teter. 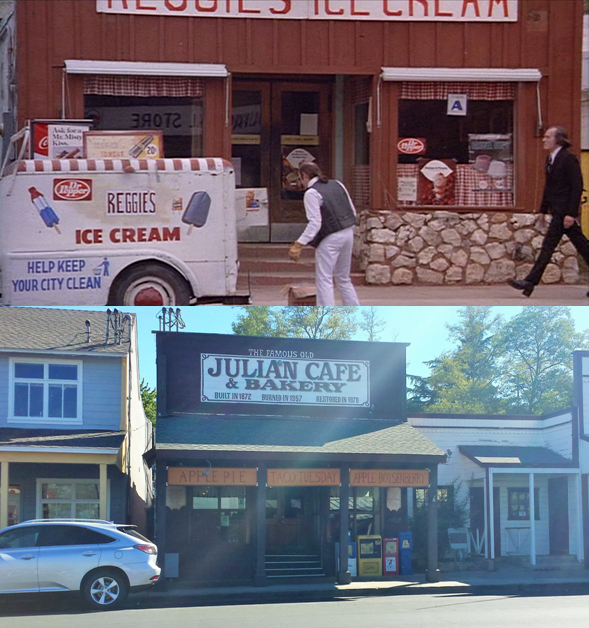 I've visited the Julian Cafe multiple times while traveling through the area and I can vouch firsthand that their apple pie is without doubt the most delicious apple pie I've ever had. Fosselman's Ice Cream was founded in 1919 by father and son Christian and Bill Fosselman. 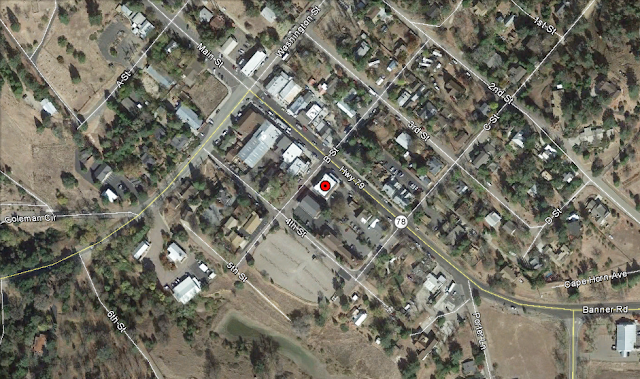 The location of the original shop was at 1515 Mission St. Pasadena, Ca. 91030. It closed in 1974 and a bronze plaque now sits in the sidewalk as a remembrance. The manufacturing portion of Fosselman's was moved to Alhambra in 1939 where a retail store was also created in 1941 and still serves as the primary location to this day. 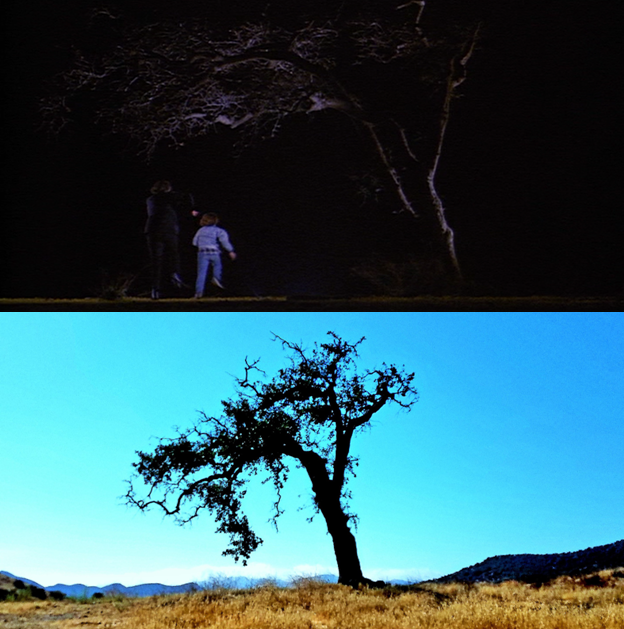 This tree makes a brief appearance in the film when the Tall Man and Mike run past it during their chase sequence. 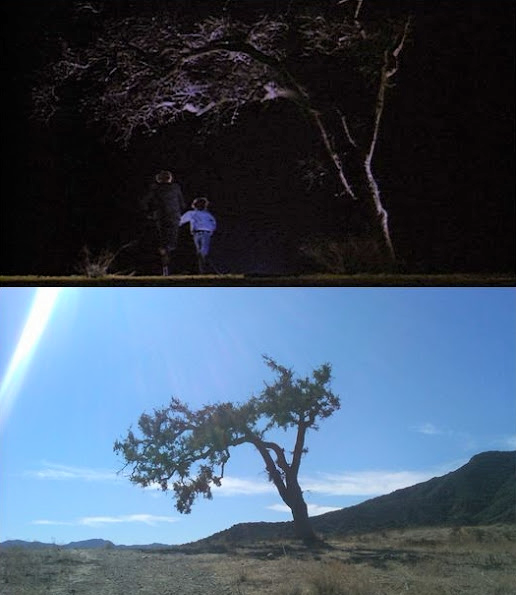 It can also be seen in Phantasm IV: Oblivion as the tree the Tall Man is hung from. The very distinct tree sits by itself atop a small hill in a grassy area near the southeast corner of Kanan Rd. 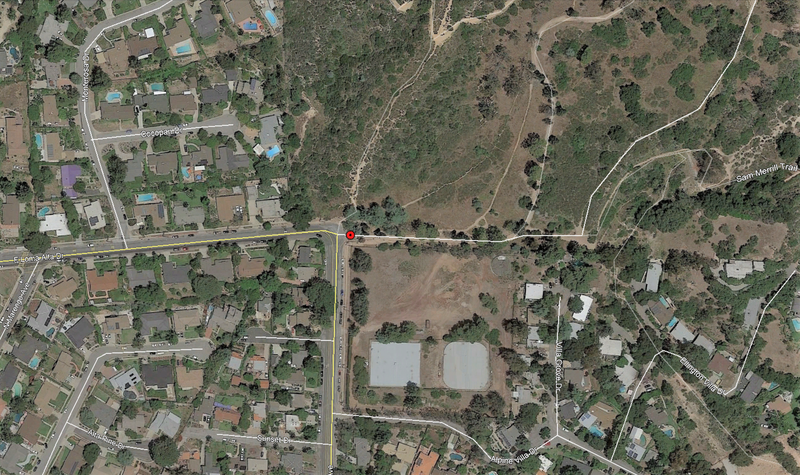 and Agoura Rd. Despite the urban growth in the area, no structures have ever been built on the plot of land the tree stands on. 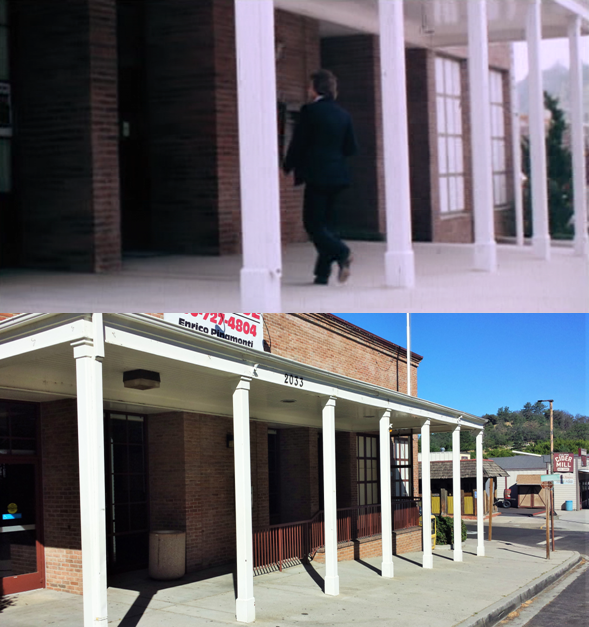 This location appears in one of the films deleted scenes where Jody pulls up in his car, parks in front of the bank where he works and walks in. An additional deleted scene inside the bank shows Jody with a girl sitting on his lap while talking. 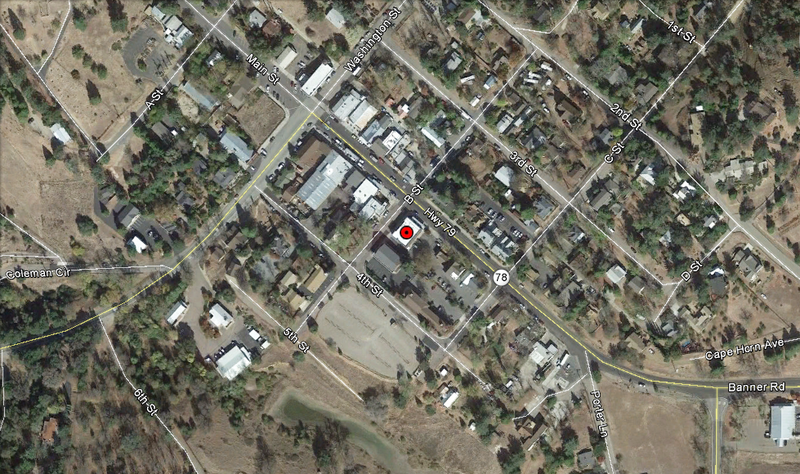 This location is also on the same street as the exterior of Reggie's Ice Cream shop. Wow, most everything looks pretty much the same except the fortune teller's house, but it looks like maybe there's some work going on. 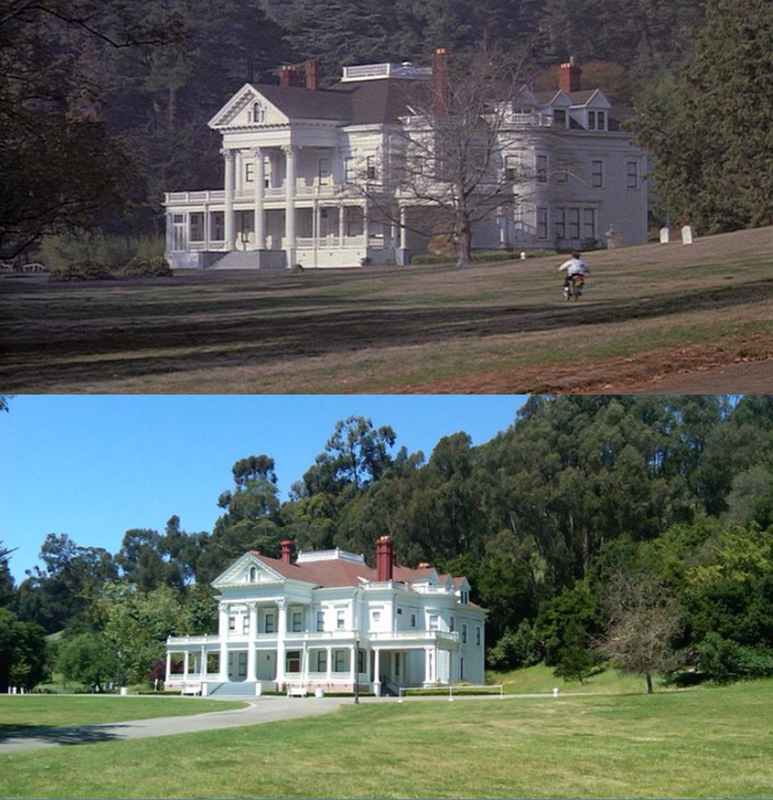 And the background scenery to the Dunsmuir estate looks different, in both Phantasm and A View To A Kill it looked like maybe there were hills behind it, or at least much taller trees. Maybe it's just the angle. The landscape looked nicer back then though, I think the world was just prettier in the 80's. The Pearson House still looked pretty nice whenever you took that picture, on the outside at least, I can't believe it was torn down. I bet a softy bought it an couldn't handle seeing closets the Tall Man could be lurking behind. The red planet I think is at a nearby dam/reservoir based on a behind the scenes video on youtube. I am sure you know that Dunsmuir was also the location for the horror film Burnt Offerings with Karen Black.